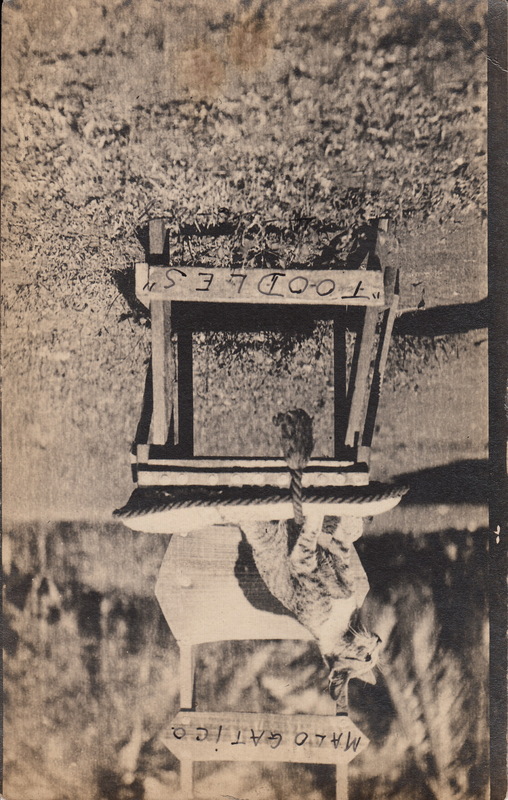 “Toodles.” Real photo postcard, photographer unknown. U.S., circa 1920. Unfortunately, this wonderful snapshot postcard has no identifying information on the back. The writing was added after the postcard was printed. Toodles does look like a cat with an attitude. We can’t see his eyes, but he does have crazy ears, and his body is coiled for attack!